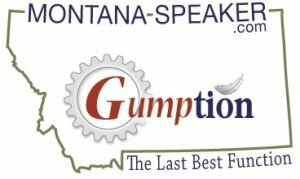 A New Montana Speakers Bureau emerges to help connect local event coordinators, businesses, and groups to local speakers. Started by Steve Weber to network people who wouldn’t otherwise meet. Steve has a business acting as Forest Gump (and is very convincing, by the way) His specialty is creating change in your organization. Fun, engaging, and a recognizable character to your attendees. Well, Steve contacted me and asked if I’d like to be part of the Montana-Speakers Bureau, too. In addition you’ll find venues, inspiration, and great suggestions to help you with your decision process. I said yes, and now I have a new profile you can find on Montana-Speakers. I love the idea that you can not only find a variety of professional Montana speakers, but also that each of us has a very unique brand and topics. If you’ve heard one of us, you might like to try another. You’ll find the topic you need for your event in one easy to surf site — Montana-Speakers.com. Next Article Next Article: Blue Ribbon Brides hits ECPA Bestseller List!